It's hard to believe it's already been two years of round the world traveling to capture the stories told on postcards by individuals on six different continents. The 30 Postcards Project has taken me to places remote and places familiar, in 56 countries and counting, from the southernmost city in the world to the northernmost point in continental Europe. 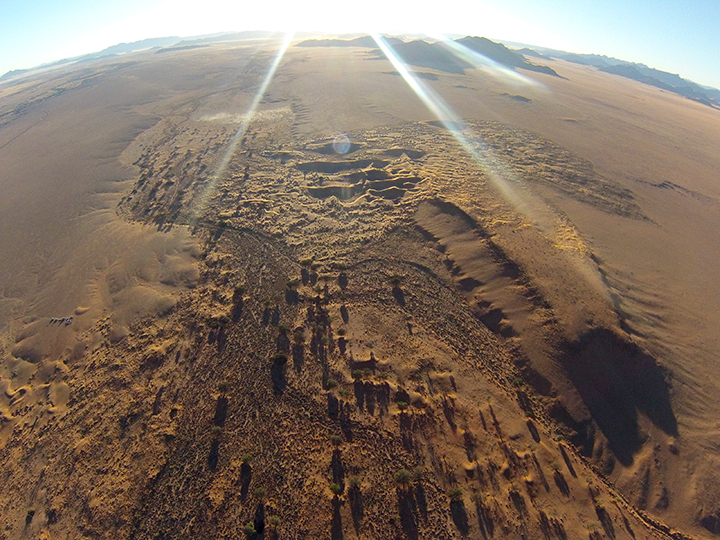 This stunning image was shot from a Namib Sky Safari balloon over the most accessible portion of Namib-Naukluft National Park in the Southwestern African nation of Namibia. Namibia is one of Africa's most up and coming travelers' destinations for an affordable African adventure. This GoPro image is just one frame in a time-lapse taken of the entire balloon ride timed to coincide with the desert sunrise. The Maldives is one of the world's most picturesque countries containing some of the most luxurious resorts you can possibly imagine, but unfortunately it's also a nation most at threat from the changing nature of our climate. 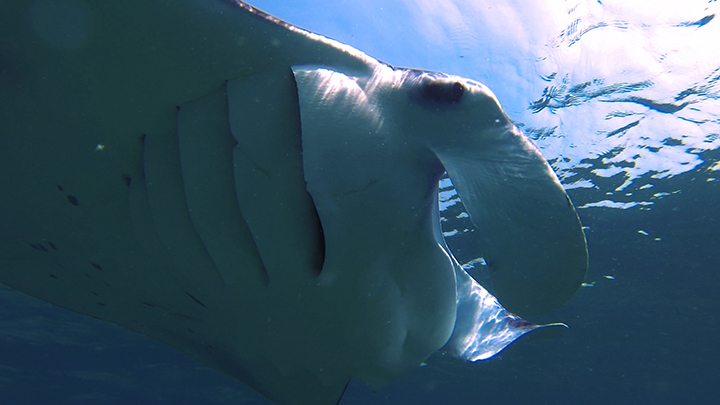 Researching a part of the climate puzzle lead us to these amazing creatures, the reef manta rays which have been altering their feeding and migration patterns in response to changing ocean patterns. You can watch the full video of my boat trip from Bandos Island Resort to find and film these giants in an effort to help researchers better understand their movements. 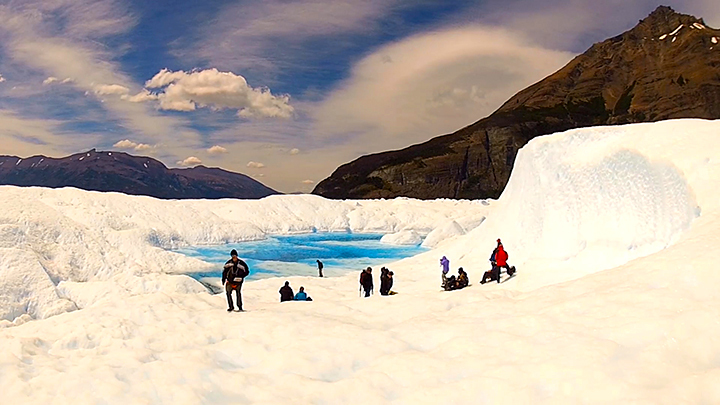 The Perito Moreno Glacier, on the Argentine/Chilean border, is a site of pure awe. Because the glacier is in equilibrium with its environment (instead of in retreat like most of our planet's ice rivers) it's possible for day hikers to travel onto and into this amazing colossus of nature. Each year guides scope out the new hiking routes possible to explore Perito Moreno's ever changing wonders. This past hiking season featured the stunning glacial lagoon pictured above, a piercing blue color I've never seen anywhere else in nature. A spotted hyena clan is ruled over by a large and powerful matriarch, pictured here nursing one of her pups in Timbavati Reserve, South Africa. Lore about these magnificent animals tells us they are anti-social, aggressive, scavengers. In fact they are incredibly social, well organized, and exceptional hunters. The tenderness expressed by this loving mother and leader of her clan was stunning. She had recently moved her entire family to live in an abandoned termite mound next to the Tanda Tula Safari Lodge, and was incredibly comfortable with her human neighbors observing her pups from the safety of the safari jeep. 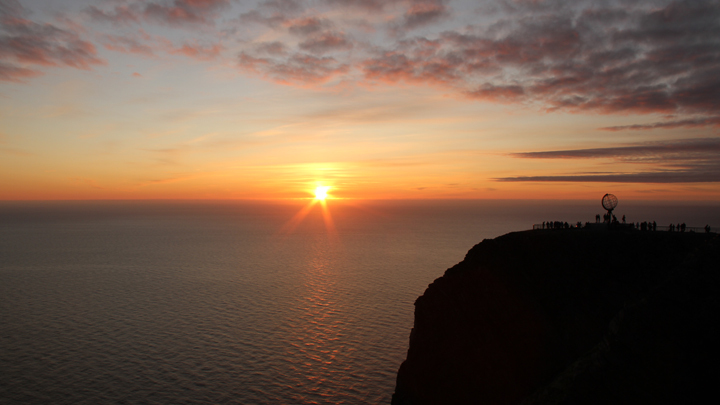 This photograph was taken at precisely 12:23 a.m. on the evening of July 30th to the 31st which is the last moment at Nordkapp to catch the lowest point of full Midnight Sun. Nordkapp (North Cape), Norway is the northernmost point in continental Europe and if you're lucky enough to have exactly the right weather conditions (five out of seven days a week experience fog) on July 30th you'll witness the sun just barely appear to touch the arctic ocean before rising again to illuminate July 31st, the last day of 24 hour North Cape sunlight each year. Grassroots Art is "a term describing art made by people with no formal artistic training (usually of retirement age) using ordinary materials in an extraordinary way and frequently creating a whole artistic environment around themselves, effectively making themselves part of the artwork." 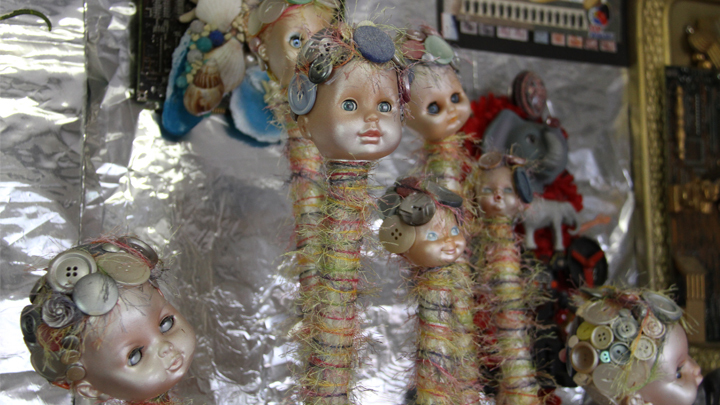 The town of Lucas, Kansas is not only home of the Grassroots Arts Center, but is also a mecca for this form of art from all over the United States. The above photograph was taken during the filming of "Everything to See and Do in Kansas" at the famous Deeble House, part of the Grassroots Arts Tour offered though the center. I officially learned how to downhill ski in the tiny mountain principality of Androrra, filming the process (rocky at times) for 30 Postcards. Why Andorra? A sizable percentage of the entire nation is devoted to skiing, in some of the most picturesque locations in all of the Pyrenees Mountains. 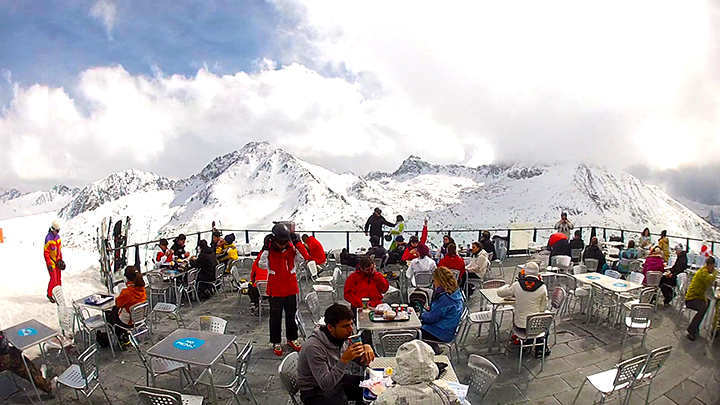 This GoPro image was taken at the Grandvalira ski field, the largest of Andorra's ski resorts. These incredible formations (the result of penetrative volcanic rock and millions of years of wind/water erosion) are not just pretty to look at, and a popular Turkish tourist attraction. They're also functional! Human beings have carved homes, places of worship, and in some cases entire cities out of these rock pillars dating back 1000s of years. People still live in some of these formations to this day. 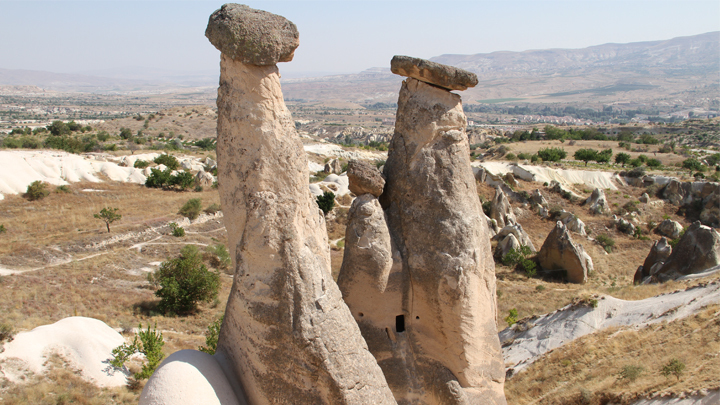 This photo, taken from the outskirts of Cappadocia, shows the steps and entranceway to one of these ancient/modern dwellings. It's an awesome day when you experience an activity that can only be found in a few places on the Earth. In El Salvador's Parque Nacional El Imposible, following the course of a very special river brings you to seven separate waterfall jumps of increasing size and intensity. 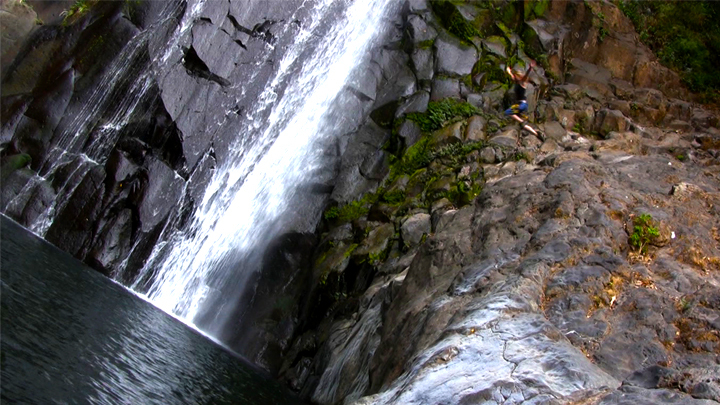 This excised frame from video of the final jump (16 meters), gives you an idea of what's possible when you take the El Imposible Waterfall Hike. If you're terrified of heights, something that may encourage you to take a leap out of a plane at 15,000 ft. is the allure of falling towards stunningly beautiful scenery. 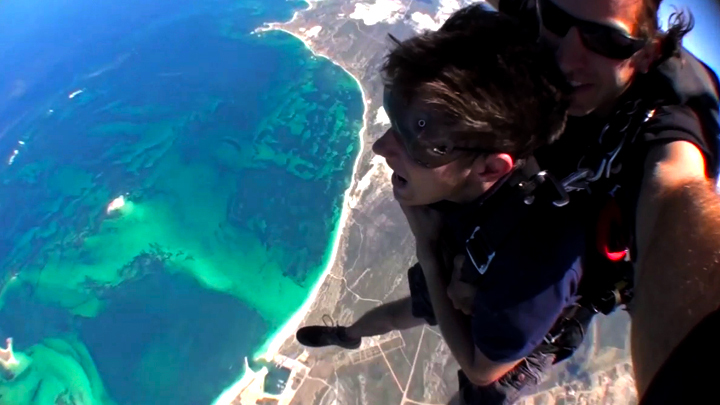 Jurien Bay is a tiny fishing and recreation town in Western Australia known for its photogenic skydives. You can see the entire video of my very first skydive and see if it convinces you to make the jump.